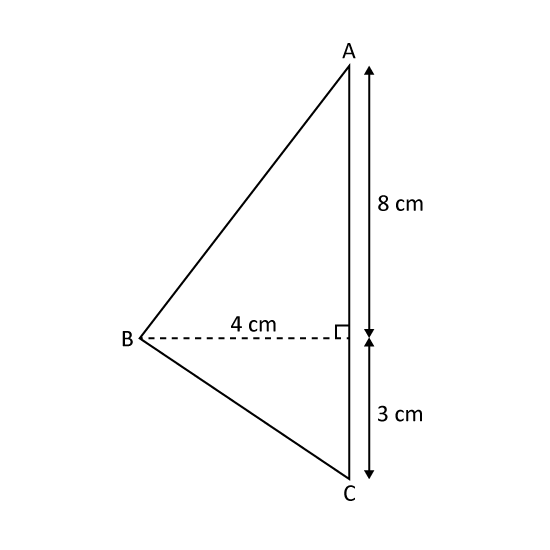 The perimeter of triangle A is equal to that of rectangle B. Find the length of WX in terms of k.
If k = 3, find the area of rectangle B. 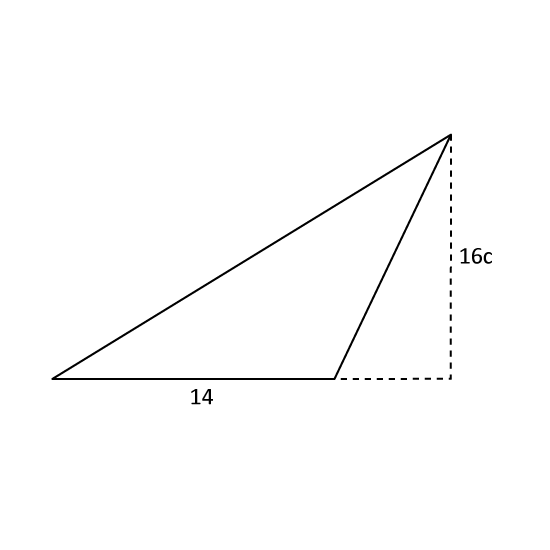 What is the area of triangle ABC as shown in the figure? Robert cut out three identical right-angled triangles. He joined them to form the figure PQRS shown. RS = 12 cm and SP = 10 cm. 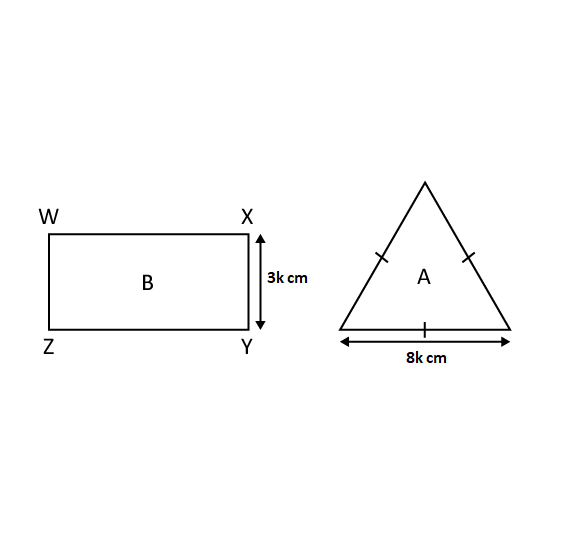 The perimeter of the figure is 36 cm. Find the area of the figure PQRS. The figure shows 4 triangles. Find the sum of ∠m + ∠n + ∠h + ∠j + ∠k + ∠l. 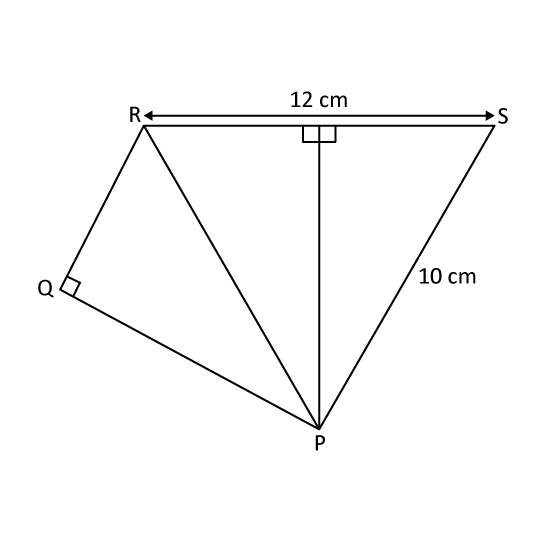 The perimeter of an isosceles triangle is (6k + 21) cm. The longest side is (2k + 7) cm. Find the length of one of the equal sides. John used 3 rubber bands to form the sides of triangle ABC where AB = 8 cm, BC = x cm and AC = 2x cm. Bob stretches two of the elastic bands and enlarges triangle ABC. The sides BC and AC were stretched to 2 times its original length. 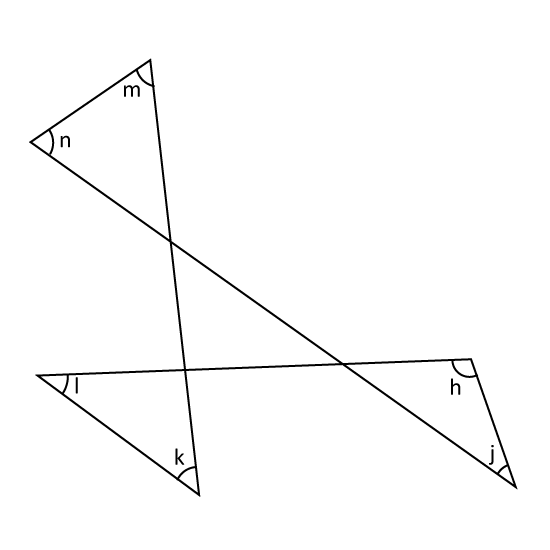 What is the perimeter of the stretched triangle ABC? 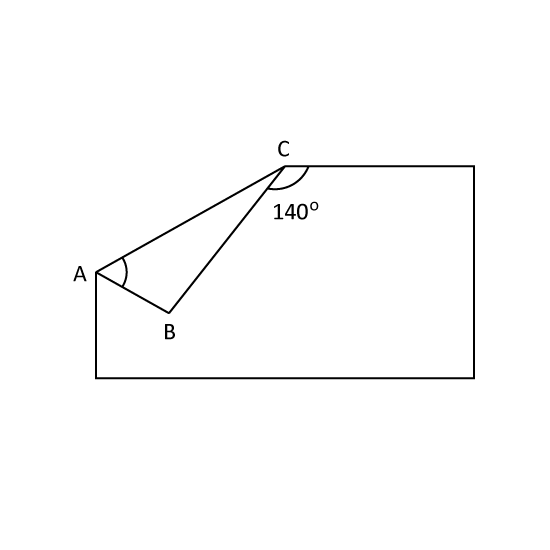 The figure shows a rectangular piece of paper folded at corner C. Find ∠BAC. The side of an equilateral triangle is 24k cm long. Find its perimeter.